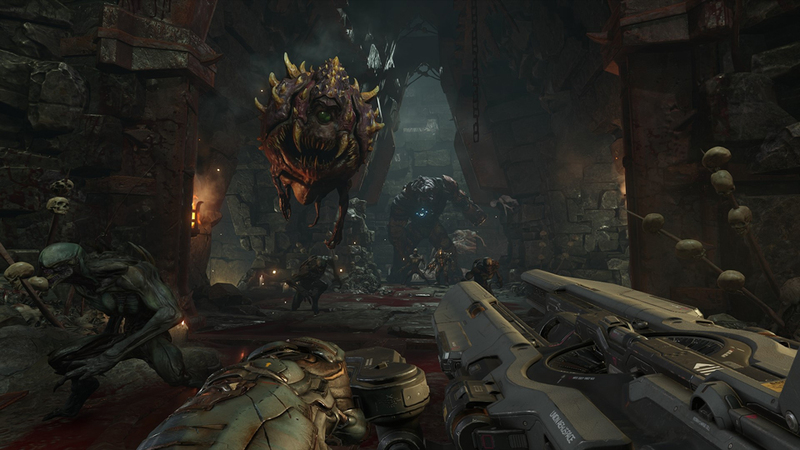 The multiplayer in the newly released ‘Doom’ is far in a way disconnected from its singleplayer experience. Small things like not being able to zoom in with most guns or not having a recharging health pool immediately make the campaign experience of Doom distinct from other shooters. The plethora of secrets and collectibles in the game’s missions make Doom feel more like Wolfenstein 3D than any other modern shooter. For 2016, it’s a fascinating change of pace, and a welcomed one. id Software just released its newest iteration of Doom Friday, May 13. Saying a game about fighting hell spawns and demons was coincidentally released on a superstitious day would be an understatement. Everything about this Doom screams nostalgia and, above all, purpose. By shunning FPS tropes and some modern gaming conventions, id has deliberately distanced Doom from other shooters of the day. Doom is wrapped in layers of nostalgia and fragments of gaming history—at least the campaign experience. In this franchise reboot, the nuts and bolts of what make a FPS experience feel like Doom is laid bare and examined. After this examination, what we’re left with is an overall divisive experience, one where the multiplayer and singleplayer components don’t match up. Just to get this all on the table early, I’m not a Doom fanatic. I didn’t grow up playing it. In fact, I didn’t play Doom at all until my first year of graduate school in 2014. When I finally did get around to it, I played the Xbox Live Arcade port, and it was awesome. I completed Doom, didn’t mess around with Doom 2 or The Plutonia Experiment, then jumped straight into Doom 3 on the original Xbox. It’s here that I think many fans of the franchise will say that it lost its way. Unlike Doom and Doom 2, which were for all intents and purposes arena shooters, Doom 3 tried to be something different: scary. Instead of running and gunning, players were, well, just running, and with a flashlight at that. Fast-paced, frantic and gory shootouts were replaced with jump scares and dynamic lighting. Doom 3 had some good ideas, moving the franchise forward ten years, but it was a failure in all respects. Doom, today, recognizes its past and it understands its fan base. It doesn’t make concessions to more popular shooters like Call of Duty or Titanfall; it is unapologetically old school and reminiscent of id and ZeniMax’s other flagship franchise, Wolfenstein. 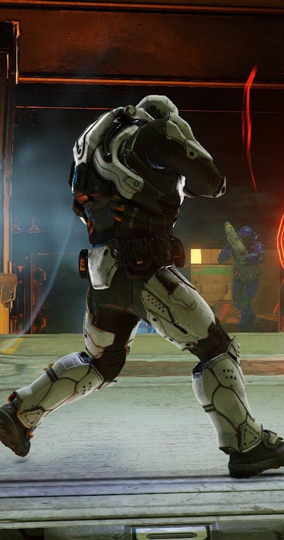 In the campaign, you play as a marine on a UAC Mars research facility. Over the course of hours, the station has gone into increasing disarray and you are left to mop or shoot up the pieces. It’s a simple story but one that’s effective. Doom campaigns were never about some grander narrative, they were about using tons of different guns to decimate an army of the undead. Health does not recharge in Doom, nor does your armor, an old school trope that returned in Wolfenstein as well. Instead, players are forced to navigate their environments in search of precious resources such as health, armor, ammo and upgrades. For as minimalist as the campaign tries to be, there’s actually a good amount of depth to your character’s upgrades. Multiplayer has always been a component of Doom. The 1991 original is credited with being the first game to introduce ‘Deathmatch,’ and in turn ‘Team Slayer,’ ‘King of the Hill,’ etc., all staples of multiplayer in shooters today. While I didn’t play it much in the original Doom, it was fun and felt like a natural extension of the campaign. I expected a similar feeling when I jumped into 2016 Doom’s multiplayer, but it just never clicked. That’s not to say that the multiplayer component of Doom isn’t fun, or hectic, or even competitive, it is all of those things, but it feels like a completely different game than the singleplayer offering. It feels like Quake and Halo 2 eloped and had a baby. Nitpicking aside, many flagship franchises have great divides between their singleplayer and multiplayer communities. Though, here it just seems different. Even if players in the Call of Duty’s multiplayer community don’t touch singleplayer, they could if they wanted to. For context, if they decided to play a mission in the campaign, the guns would operate in the same way, as would the physics and general level design. Some games like Halo even go so far as to reuse singleplayer levels and assets for multiplayer arenas. None of this was the case with Doom. However, I had a blast running around with a super shotgun, flying up gravity lifts and banking grenades around corners to surprise my enemies (those twelve year olds with god-like reflexes). Never once did it feel like Doom, though. I couldn’t shake the feeling that I was playing two different games for two different audiences. Knowing id, this was likely intentional, a way to switch up gameplay from singleplayer to keep audiences coming back for more. At the end of the day, though, having too big of a disconnect between the content in your game makes for a weird experience for the player. Why was I suddenly allowed to create loadouts with perks a la Call of Duty in Doom’s multiplayer? I couldn’t tell you, but the result left me feeling divided and, admittedly, wanting more. Which mode within ‘Doom’ do you prefer? How do you feel about the resurgence of more old-school shooters? Tweet me @Flagcap. And be sure to follow us @YouNerded. Pikmin chasing gaming personality at YouNerded.com. You can find my videos on my YouTube channel, Flagcap Games. Happy Gaming!